Offices these days certainly look different than they did ten years ago. A trend that appears to be taking over office types of all kinds and across all fields is flexibility. We are seeing the flexibility trend with coming to life through creative communal spaces throughout the office. One example of this is coworking spaces, often referred to “hot desking.” Instead of sitting in a cubicle, employees are free to sit and work wherever – on a comfy couch, at a cafeteria-style table with others or elsewhere in the office. Sometimes we can get tired of the same scenery, and might enjoy our day at work a little bit more with opportunity to move from our usual spots. The hot desking idea may not work for all offices. Not all jobs allow for that kind of mobility or have the budget for additional IT resources. 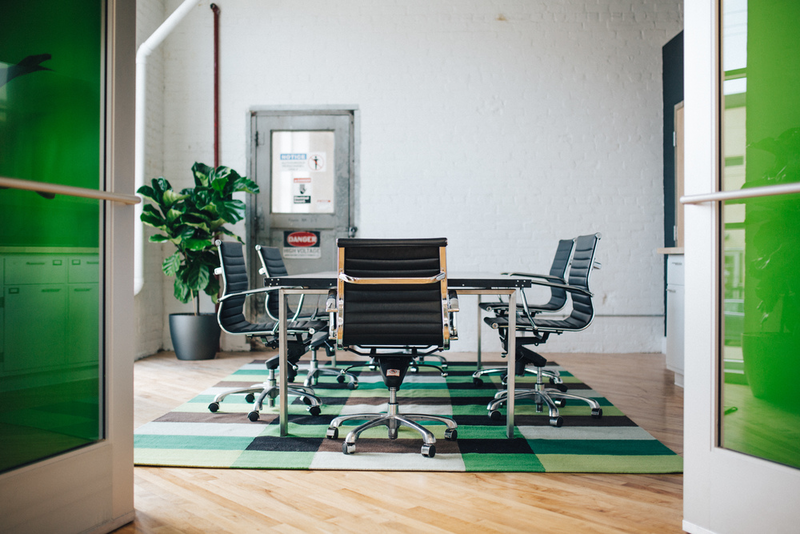 An alternative is to keep the traditional, cubicle-style desks, but still have sitting or standing areas that allow for staff to meet in small groups or work away from their desk area. This can be a great way to change up your routine and scenery. Another idea is to have unique meeting spaces that encourage creativity. They could be uniquely decorated and designed, perhaps with vibrant colors or artwork, or even floor to ceiling white boards to scribble ideas or draw on. Sometimes the best ideas come from being able to move around, write freely and brainstorm in a fun environment with your teammates. 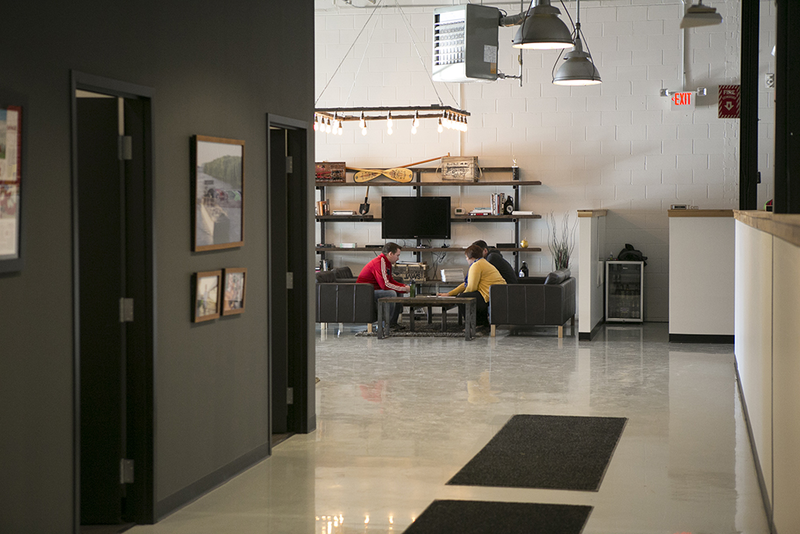 Typically, offices have at least one meeting room. While you want to have enough space to hold a larger meeting if need be, when meetings are with a smaller team, the larger conference room can feel too big, less personal and even a little awkward. If you have the space, smaller meeting rooms would be a great addition for certain teams in your office to meet in. This also minimizes scheduling conflicts that can occur with just one meeting room. At our office, we have a small meeting room that offers seating for about 10 people. Our kitchen area was designed to be multi-functional, so it can seat our team of 30 people for potlucks and lunches, but also for the all-staff weekly meetings. This is a great way to utilize the space, and offer different sized rooms for different purposes. A trend we are seeing pop up in office designs lately are elements that consider the well-being of employees. Researchers from the company Ambius, the University of Exeter, The University of Queensland and Cardiff University worked on a long-term study on the subject of greenery and its impact on employees and productivity. They discovered a significant increase in workplace satisfaction and concentration levels, as well as heightened perceived air quality in office spaces with plants. Studies also have shown that lighting plays a role in the productivity of employees. Not only are the shape, style and brightness of bulbs important, but also the addition of natural light in the space. Exposure to natural light can profoundly impact productivity and health. “Workers are a group at risk because they are typically indoors, often without access to natural or even artificial bright light for the entire day. The study results confirm that light during the natural daylight hours has powerful effects on health," says Phyllis Zee, M.D. neurologist at Northwestern Medicine. In addition to good lighting throughout the office, every desk in the office should have view of a window. This allows staff to connect with the world outside their work spaces in a way windowless offices and cramped cubicles don't. One more office design idea, based on current trends, is mixed textures and styles. More and more we are seeing the old-meets-new look, combining weathered, rustic materials with modern accents. We see this often with businesses that have renovated an old building, kept some of the industrial and rugged character, but added very modern furniture and artwork. Every business has their own unique character and it is important to find the best design options that compliment both your staff and your company culture. Paul, Marla. “Northwestern Now.” Natural Light in The Office Boosts Health, 8 Aug. 2014, news.northwestern.edu/stories/2014/08/natural-light-in-the-office-boosts-health. University of Exeter. "Why plants in the office make us more productive." ScienceDaily. ScienceDaily, 1 September 2014. <www.sciencedaily.com/releases/2014/09/140901090735.htm>.